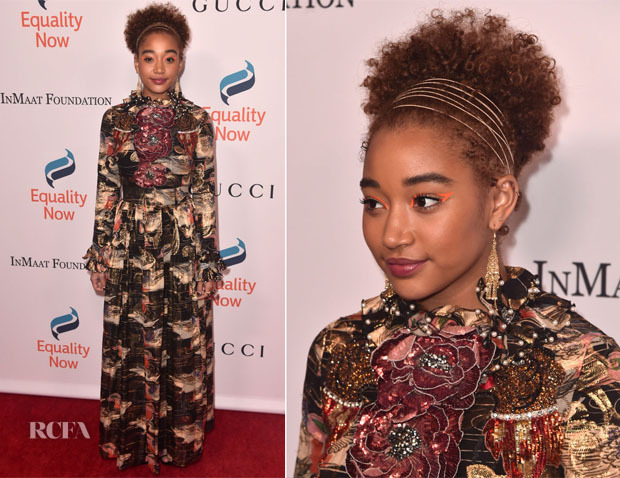 Amandla Stenberg attended TrevorLIVE LA 2018 on Monday (December 3) in Beverly Hills, California and Equality Now’s Make Equality Reality Gala 2018 on the same day. 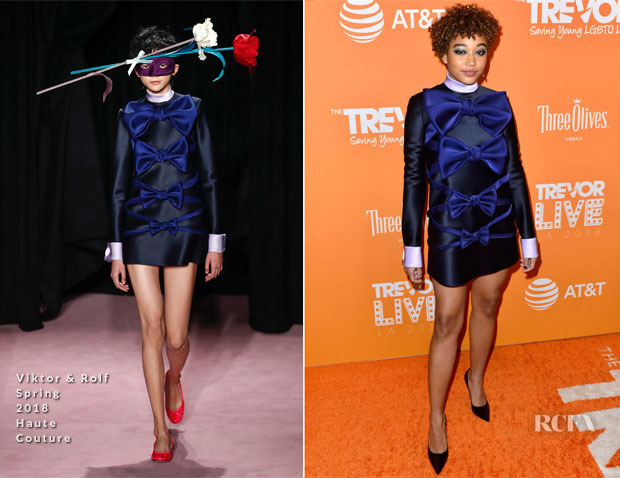 The Trevor Project’s TrevorLIVE LA 2018: ‘The Hate U Give’ actress was all wrapped up in a Viktor & Rolf Spring 2018 Haute Couture dress adorned with bows. The darker colour palette and mini silhouette keep it from becoming twee. The simple styling allowed the whimsy detail to shine. Equality Now’s Make Equality Reality Gala 2018: Switching gears, she embraced a bohemian mood in Gucci. It’s clear that every detail was considered from the multi-strand headband to the makeup. The ornate dress didn’t need any additional accessories but her take is playful and free-spirited.